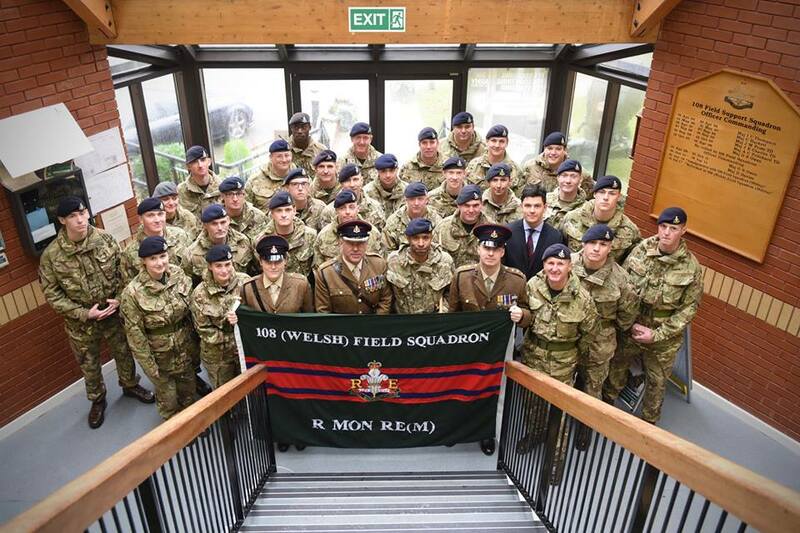 Officers & Soldiers of The Royal Monmouthshire Royal Engineers (Militia) gathered in a wind and rain swept Swansea to bear witness to, and celebrate, the reformation of 108 (Welsh) Field Squadron (Militia). 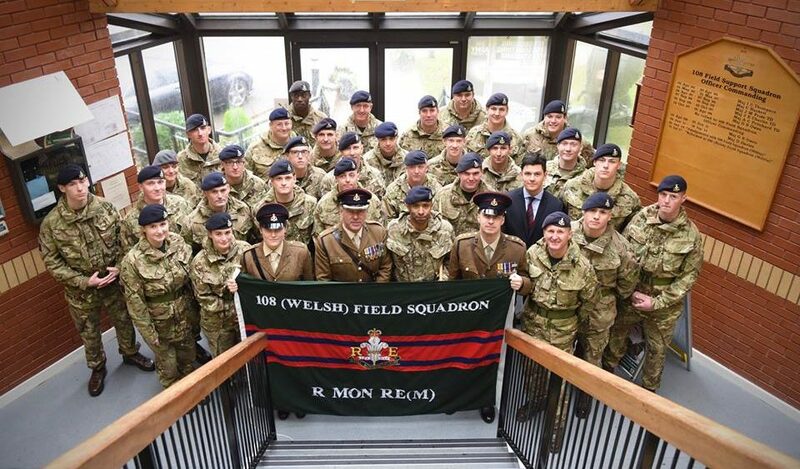 108 was disbanded in September 2014 as the Army reshaped various elements. 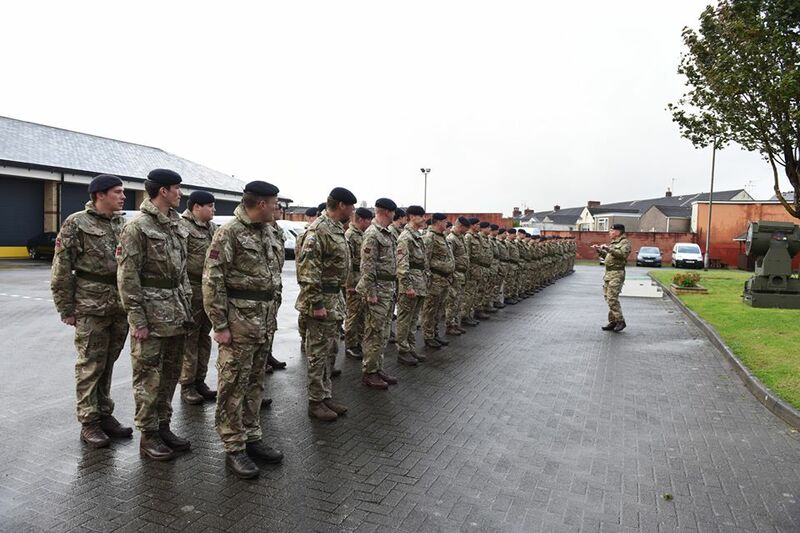 Though our soldiers continued to parade at John Chard VC House they were under the command of 100 Field Squadron (Militia) based out of Cwmbran. The city of Swansea was keen to welcome the return of 108 though unfortunately Storm Brian and winds of up to 78mph caused the march through the city to be cancelled. 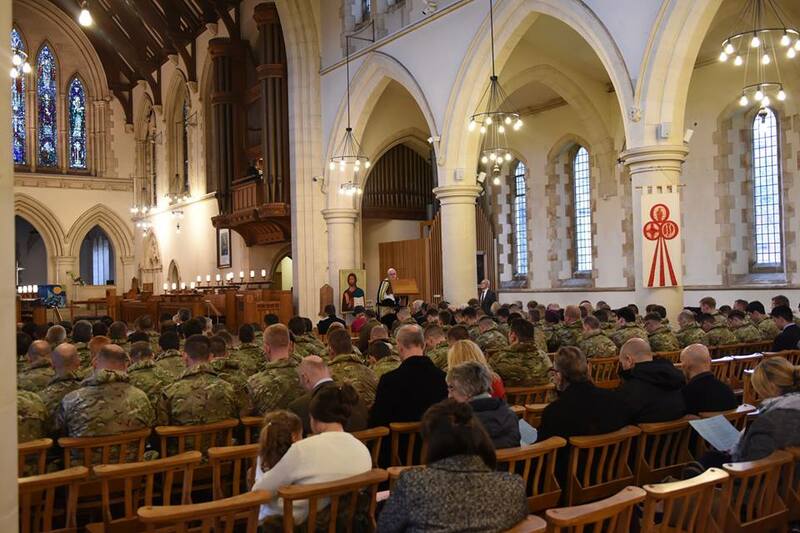 The day then began with a Church Service at St Mary’s in Swansea City Centre. 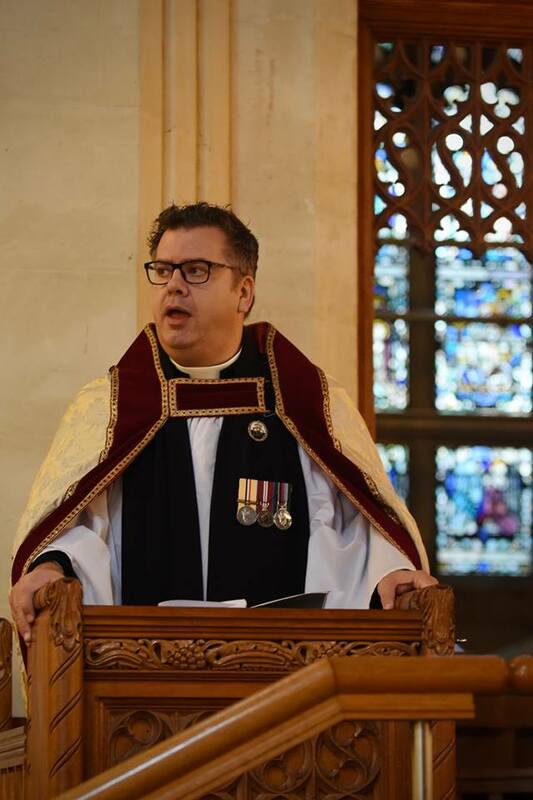 Rev Canon Ian Ress, Vicar of St Mary’s led the service with support from The R Mon RE (M) Padre Rev Canon Leigh Richardson. 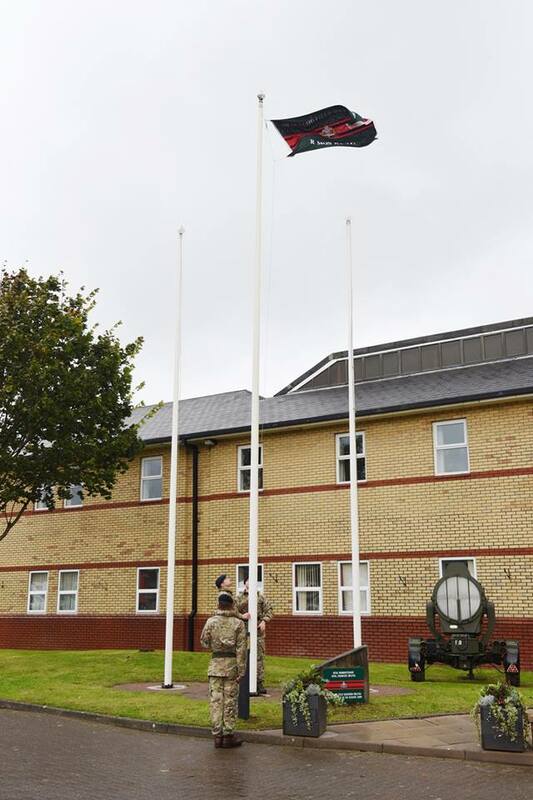 Following the Church Service members of 108 (Welsh) Field Squadron braved the weather and raised the new flag at John Chard VC House. 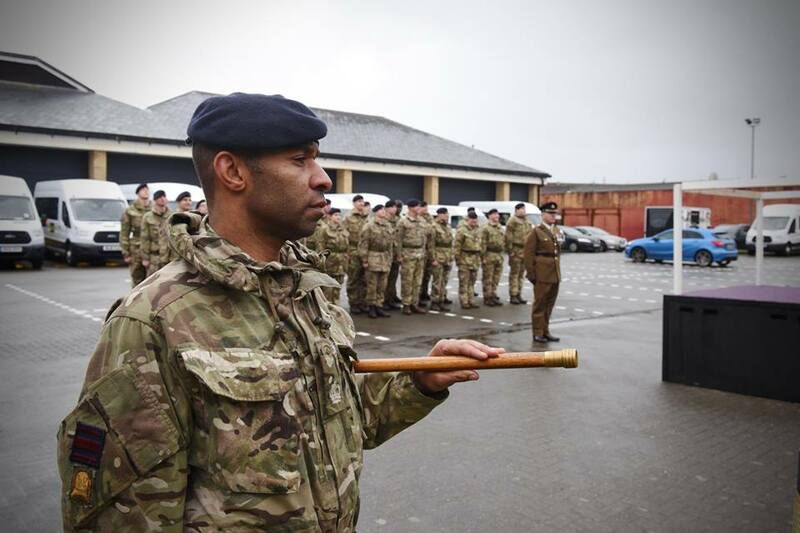 There were then VRSM (Volunteer Reserve Medal) presentations to four members of the Regiment. 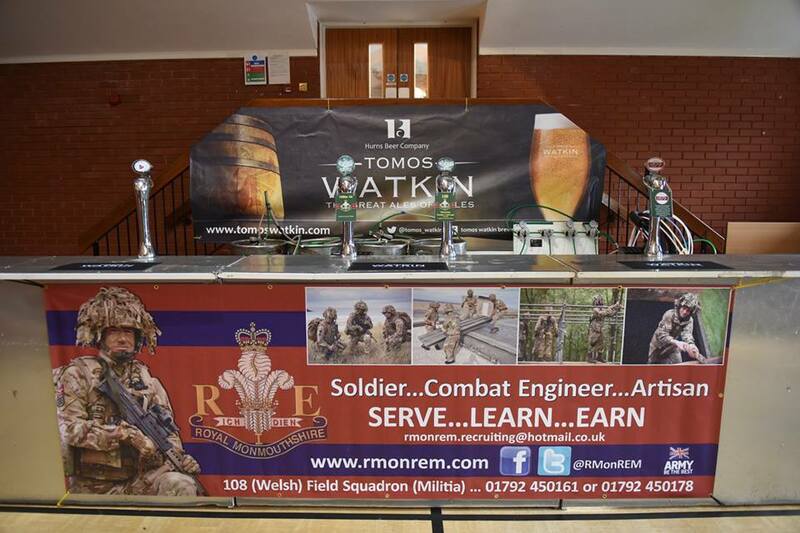 Local Brewery Tomos Watkin kindly donated a number of barrels and portable bar for all serving and past members to enjoy with a celebratory Militia Ale or pint of 108. 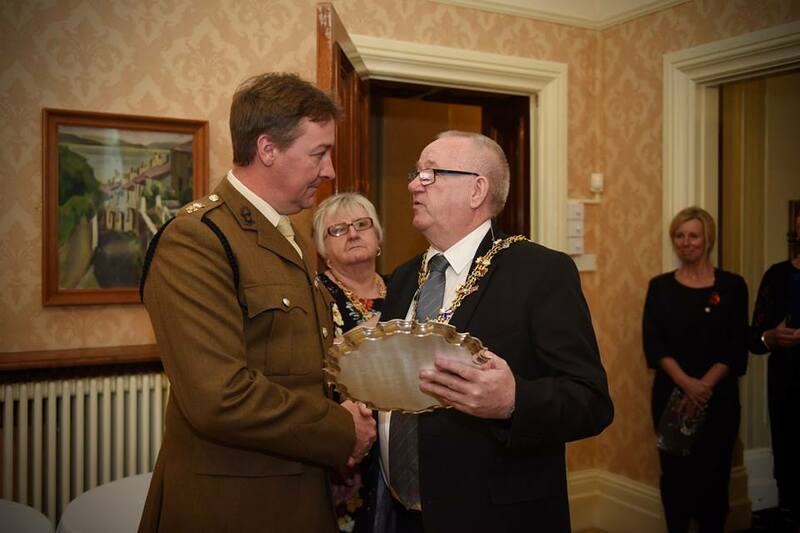 The Lord Mayor and Mayoress hosted The R Mon RE (M) Officers and specially invited guests that included the Lord Lieutenant of West Glamorgan at The Mansion House-residence of Swansea’s Lord Mayor. 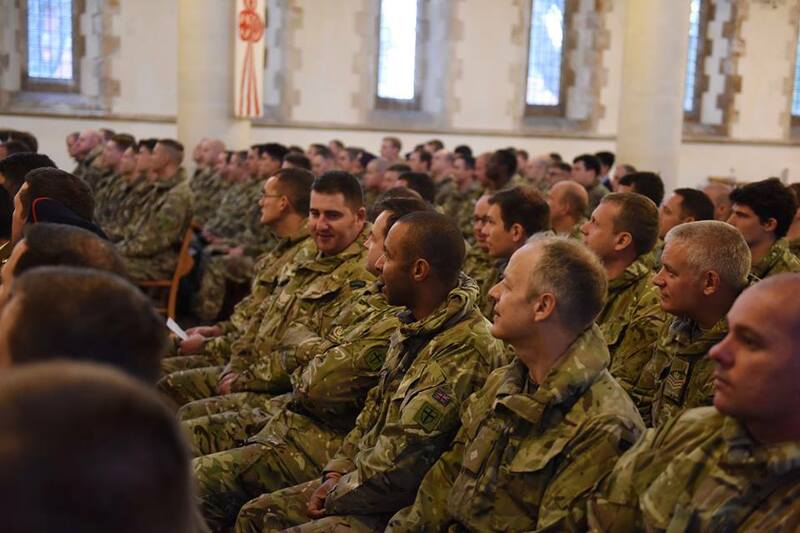 There were special presentations made to mark the Reformation of 108 (Welsh) Field Squadron and its bond with the City of Swansea. 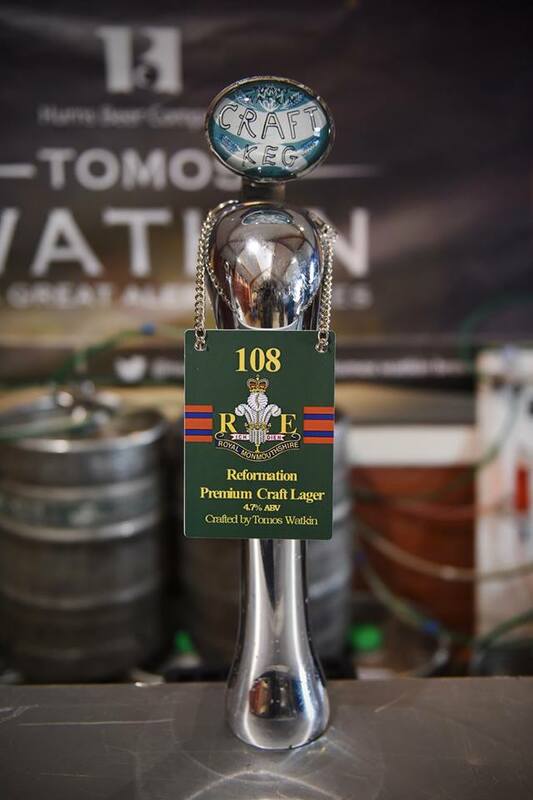 If you’d like to see more about The Royal Monmouthshire Royal Engineers (Militia) go to our Facebook page or see photos from the Church service, Mansion House or the rest of the weekend (including the medal presentations).